There isn’t a day that goes by where I am not laughing out loud multiple times or beaming with smiles throughout the day! These boys have brought a new joy and love into my life, one which I never knew existed before becoming their mom. Without trying, they melt my heart and easily make my gray sky blue! This weekend we ventured out for a little spring shopping, their first time at a mall. 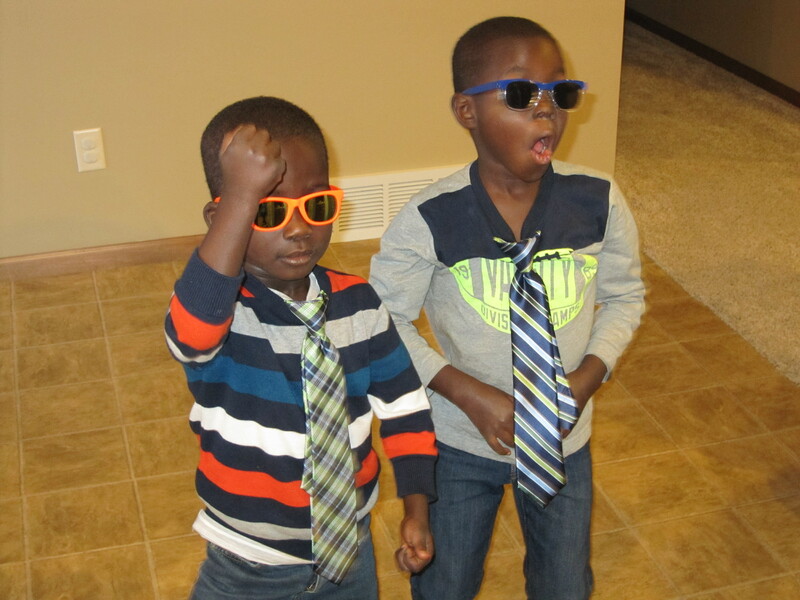 Our mission, sunglasses and Easter ties. Mission not only accomplished, but also highly successful! I wish I had a video camera in the store as they tried on multiple pairs of sunglasses and each time stood in front of the mirror modeling to see if they were the perfect ones. 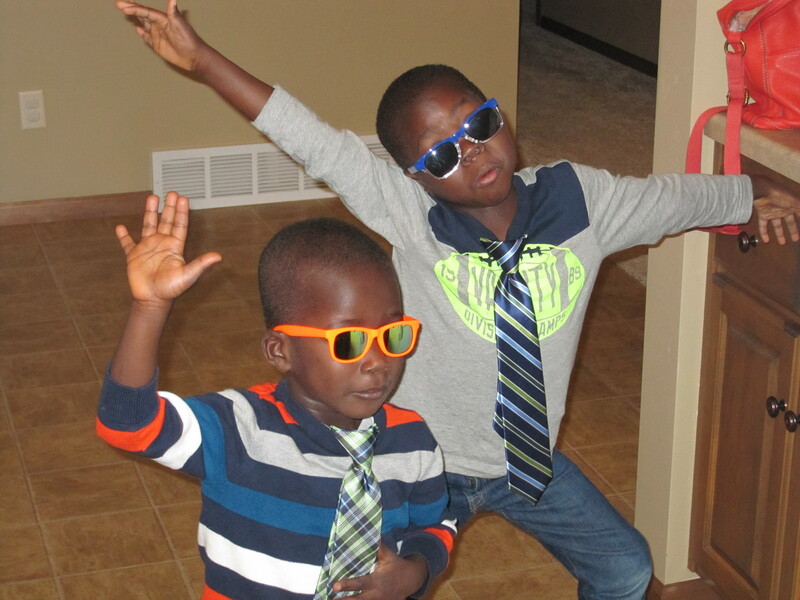 They were so excited that after making our purchase they wore them the rest of our time in the mall. 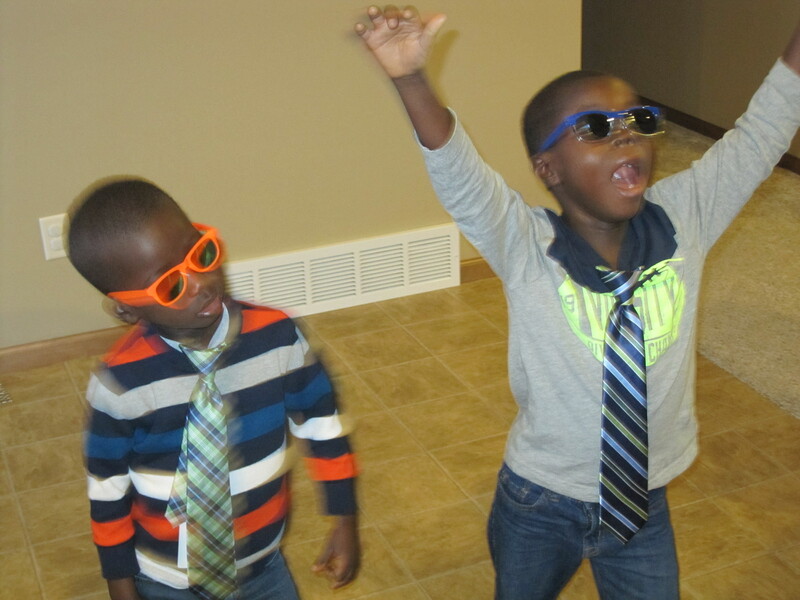 I couldn’t help but notice the many people whose faces instantly lit up with a smile as they saw the boys styling their new specs. So hoping that in sharing these pictures, your Monday may be a bit brighter too! What cuties. I have a feeling they are going to bring lots of joy to lots of people. Thank you, they definitely do!! Oh my goodness! So adorable. Seeing the silly things our children do definitely makes me pause and reflect on the joy they bring to my life. I think a lot about Mary and how she kept all the things that happened with Jesus in her heart. When I don’t have a camera when I wish I did, I like to enjoy the moment and pray that I took can keep these things in my heart. Surely if Jesus’ mother found it useful to do this, it probably would benefit me to do it as well. Enjoy your handsome boys. I love this thought, so beautiful! I am going to have to remember it for all those moments the camera doesn’t catch.